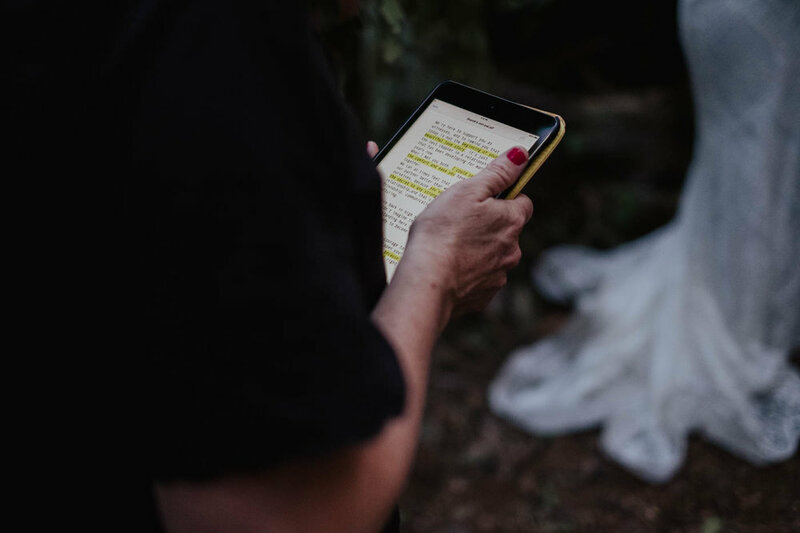 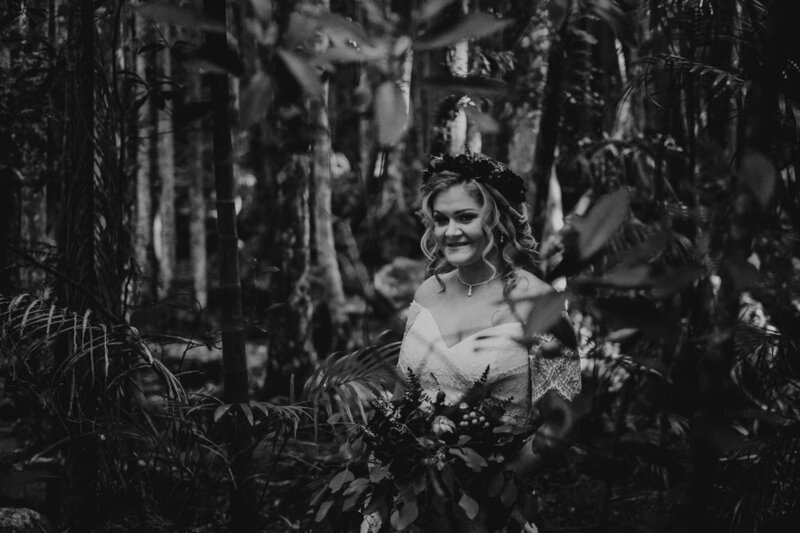 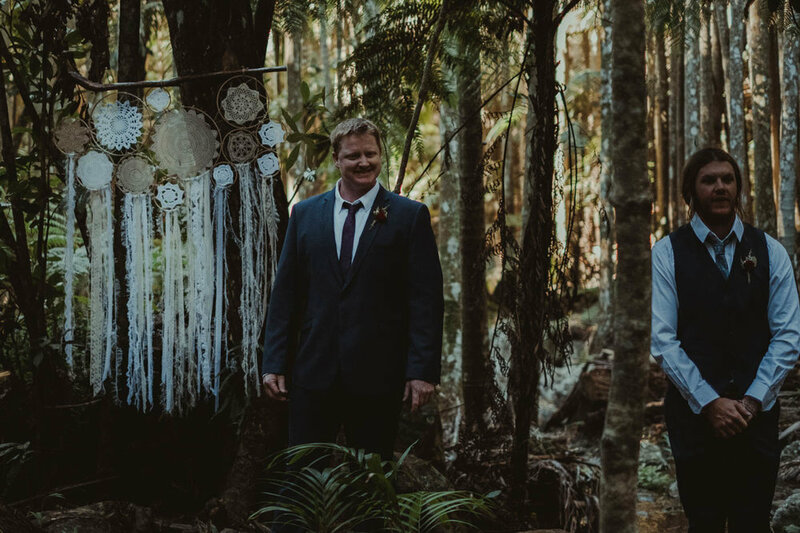 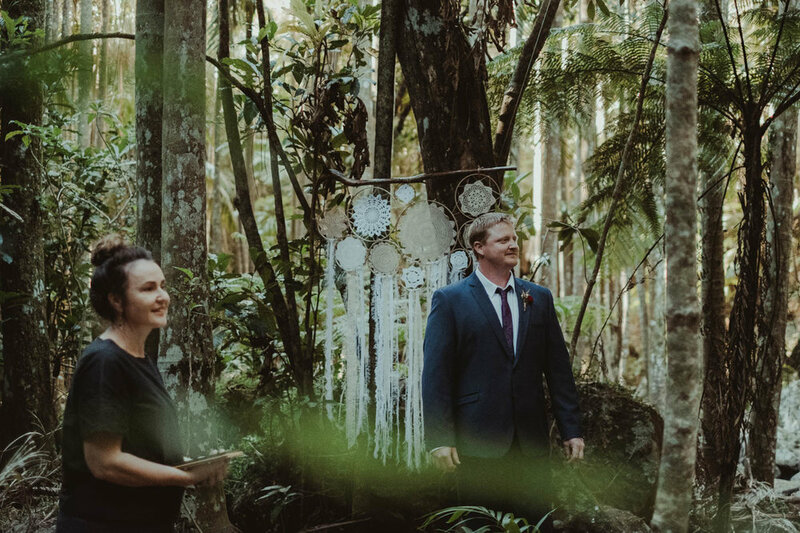 Shantell + Josh's Elopement at Curtis Falls, Tamborine Mountain. 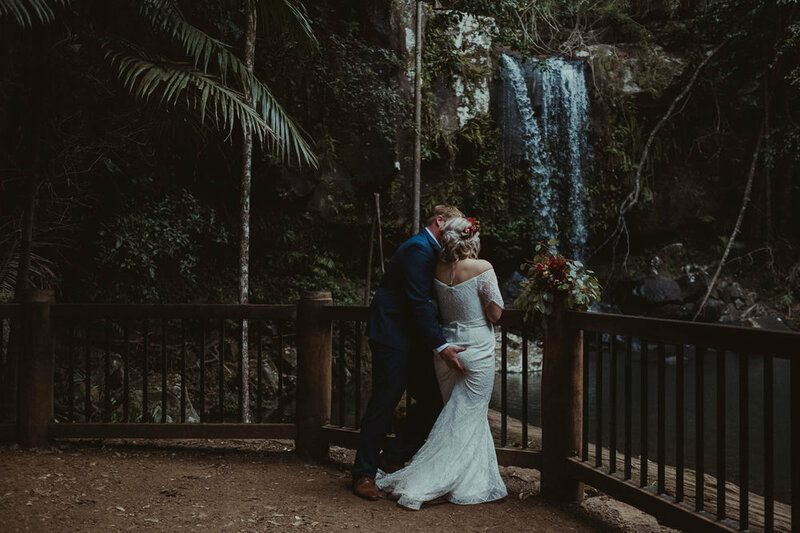 Shantell and Josh eloped at Curtis Falls, Tamborine Mountain, with just their daughter, Shantell's sister and Josh's best mate as a witness. 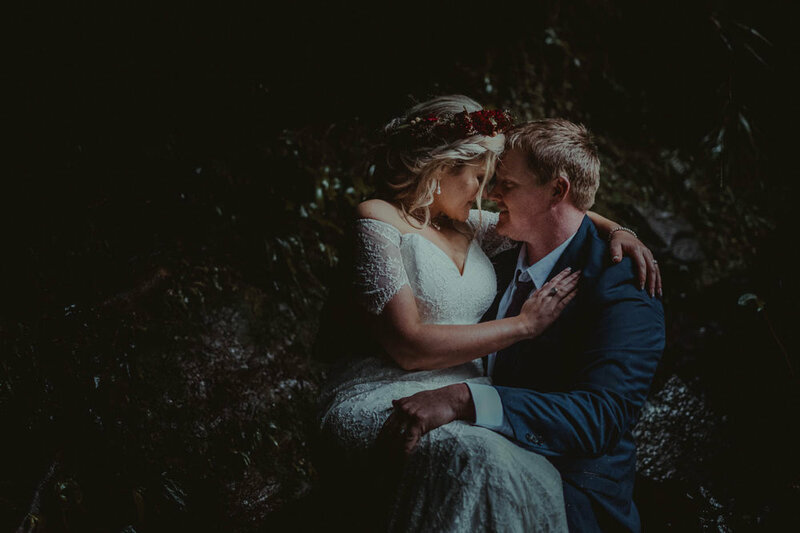 They didn't tell anyone they were married until it was announed at the "engagement party" 6 weeks later! 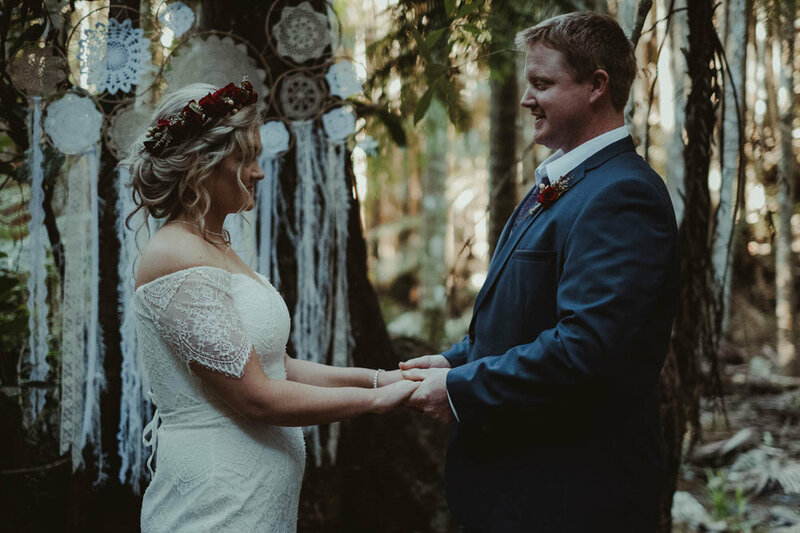 It must have been so hard to keep the secret for that long - but kind of an awesome idea too! 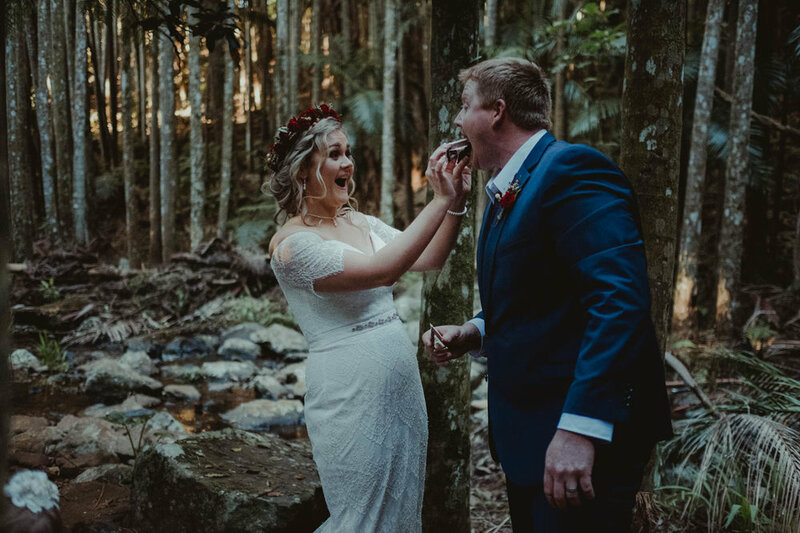 They held their cereomy under the stunning Curtis Falls Rainforest Canopy with hand made decorations and a delicious flower topped wedding cake made by Casey. 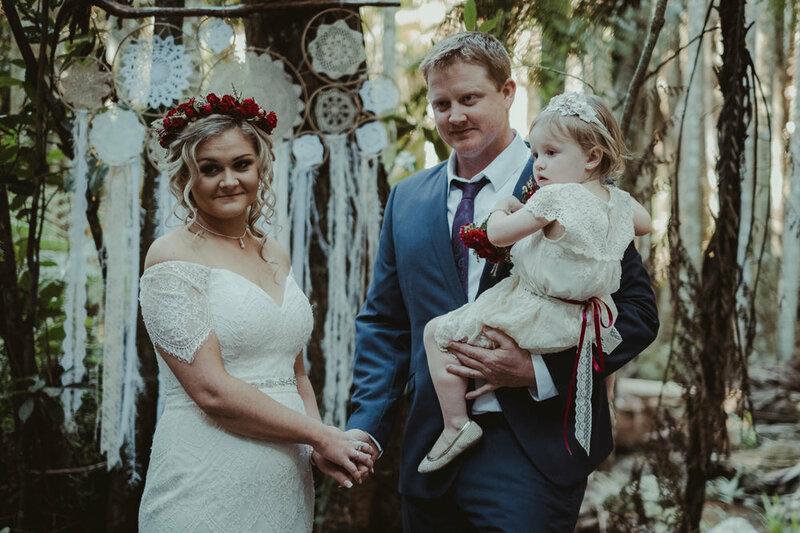 They really are a lovely family and we wish them all the best.